Wait! What!? This cannot be! For years fellow conservatives have told me that the Zuhdi Jasser run Clarion Project is part of the solution. While I have clearly labeled and proven they are part of the problem. As if $elling the public a fantasy that music will save us from Islam, to supporting the Islamification of American iconic Barbie Dolls, to promoting the notion that Islam will reform, yet not even being to explain how it will was not damaging enough. 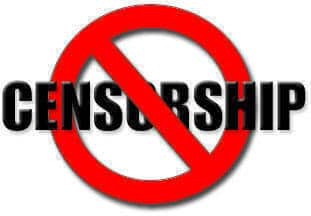 Now Clarion has taken their detrimental policies to a whole new level by attempting to censor our freedom of speech. Isn’t that a common theme these days? See UK. Should We Stop Using the Word ‘Islam’? Using the term ‘Islam’ instead of a more specific word for a sect can often be too vague when discussing various aspects of the religion. In the truthful world sects are irrelevant because the differences are between them. 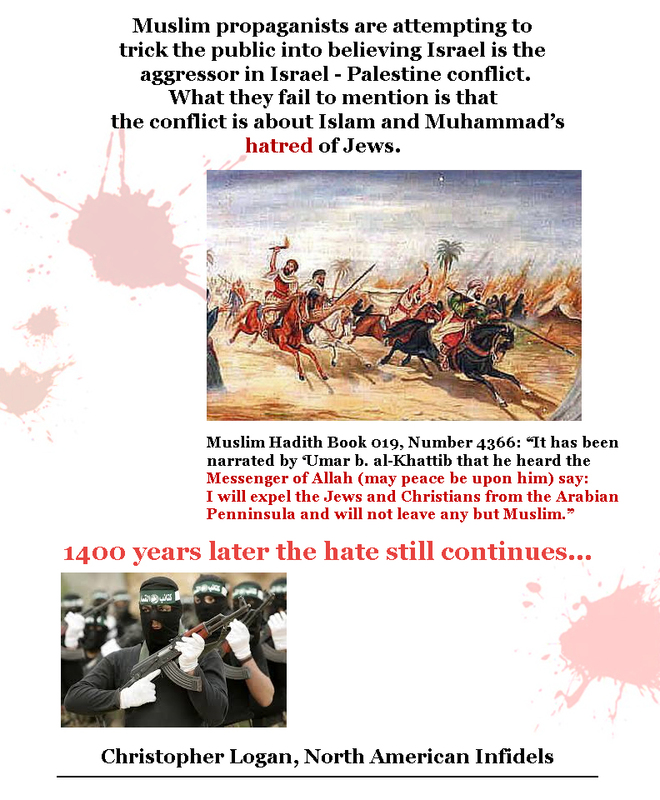 For instance the Sunni – Shia feud. Yet they all support the same Koran which calls for dominance over non-Muslims. By force if need be. It’s true that when talking about any group, it is necessary to a certain extent to talk in generalities. Without mentioning the things that tie a group together, a group ceases to meaningfully exist as a concept. So when talking about religion, it is natural to fall into this pattern and talk about a large grouping unified by a common creed. It is natural to “fall into the pattern” when one is out to properly ID an enemy ideology. But this may not always be so helpful when the group is so broad that it doesn’t mean much to peg someone as a member. Taking the focus off of Islam is what is not helpful. Again, see the UK. The media there does so on a regular basis. When talking about Islam, it is easy to forget just how vast it is. Well over a billion and a half followers is a colossal number. Yes, there is a common doctrine. To be counted as a Muslim one has to accept that there is no God but Allah and that Mohammed is his messenger. Muslims also accept the Quran as scripture. Yes, those numbers just show that the so called religion is spreading like the blob it is. Slowly suffocating cultures across the world. But beyond that there is a lot of divergence. There are four schools of Sunni jurisprudence. The Shiite world is largely divided into Twelver, Zaidi and Jafari, but there are many other, smaller groups. Each Muslim country over the centuries has developed its own traditions, customs and legal thought. Each community looks to its own leaders for religious guidance. All of which see Islam as a dominant force. No matter if we like it or not. Others reject hadiths and fiqh altogether, going only by what they read in the Quran. Irrelevant. Because I have already proven that the Koran is a threat. The root of it all. What we most commonly think of as Islamic fundamentalism today, the austere Wahhabism of Saudi Arabia, is itself only a recent invention. It was an 18th-Century reaction against the cosmopolitan Islam practiced by the Ottoman elites of the day. Iran’s theocratic government is even younger, implementing Ayatollah Khomeini’s program of “Guardianship of the Jurist,” which was drawn up in the 1970s, replacing hundreds of years of Islamically-sanctioned monarchy. No, that is what you think. Is Clarion actually praising the Ottoman war machine? I am sure the Assyrian Christians appreciate that…. In the West in particular, but also all over the world, many Muslims are now questioning their relationship with their faith and re-opening old questions. Islamic feminists are pushing for a greater role for women. Progressives and humanists are questioning whether or not the Quran is divinely authored, while still relating to it as a hugely important guiding influence in their lives. I guess these so call “Islamic feminists” are like the liberal ones who bury their head in the sand when it comes to the fact that Islam sanctions child marriages and domestic violence. Because ever since 911 I have not seen even one Muslim condemn any verses in the Koran. 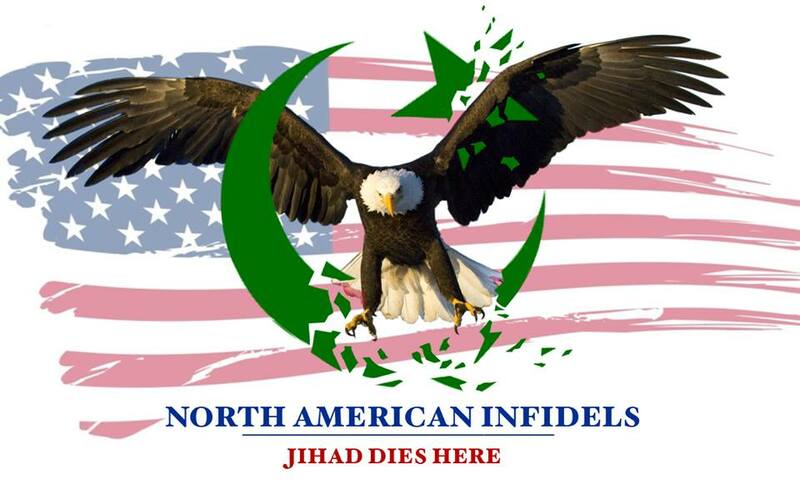 Zuhdi Jasser included. For those new to the subject the following verse is about the “iddah”, or waiting period that a Muslima must wait until they can get remarried. See embolden words. There is tremendous variety within the Islamic spectrum. It is no more reasonable to talk of a unified Islam than it is to speak about Anabaptists and the Jesuit Order as being the same religion. Yes, Anabaptists and the Jesuits both share a belief that Jesus was crucified and resurrected, but beyond that there are a lot of theological differences. So when you conceptualize Islam, dig a little deeper. Don’t be content to talk of it as one singular entity. Figure out what kind of Islam specifically you are talking about. The only one there is, Islam itself. Unless of course Clarion can produce a Koran that is used across the world that is non-Muslim friendly. Considering the fact that their spokesman Ryan Mauro runs from debating me I highly doubt a response is coming. Name the enemy or lose the war. Something Clarion is clearly not willing to do. This is really well done. I am a bit shocked that Ryan Mauro will not meet and debate with you. Apparently not even a ‘gentleman’s conversation.’ It’s very disappointing. But then, if the pride themselves on have Zuhdi Jasser as the posterboy for Clarion, I need to reassess Clarion’s value. The good work they do gets obscured by what they don’t do, so to speak. Logan’s Warning, on the other hand, has always stayed on point, and continues to show that the ‘wise’ are revealed as fools. In the end, Allah the Most Merciful, Most Beneficient, the Most High, is really none of those things. To add to it, do you remember when Jasser said that Geller and Spencer were part of the jihad? Ryan stood with Jasser after that. So I have to say he wants the checks to keep rolling in. As for me and Ryan, he has blocked me a few times of Twitter for questioning him on his policies, and my view is that if one cannot defend their policies there is something very wrong with them. With me you do not have to worry about me changing my message. I will not sellout or blindly support anyone. I hold our future generations and winning this war above all. Thanks for the kind words and keep up the good work yourself. BTW…Clarion sent me an email basically asking “why am I doing this?”. To be publish soon. The primary difference between Sunni (90% of worldwide Muslims) and Shi’a (about 10%) does not lie in which parts of the canon they accept. It lies in who should have succeeded Muhammad as caliph. In other words, it is political, it is not canonical. The Qur’an and Sunnah are the highest authority for all observant Muslims, everywhere. Just for the record, the most Salafist (pious predecessor) of Sunni consider Shi’a to be heretics, let alone the sects living in caves off in the boonies somewhere. No, they don’t all speak with the same authority. As for the four Sunni madhhab: Hanafi, Malik, Shafi’i and Hanbali, none of them declare to be forbidden what the others declare to be mandatory. There is a high degree of agreement among the four. Shari’a is a path toward living one’s life, it IS NOT the canon. Since the Qur’an and Sunnah are the primary sources of authority, and since the earlier founder of one school tended to teach a latter founder of another, the differences aren’t substantive. They are in how legal reasoning is applied. You who spout this “waaaaal, actually there are 17 interpretations of Islam, and one is as valid as another” show how ignorant you are. It’s late and I’m tired but I’ll be back with canonical cites if anyone wants to see them. Yet I have not seen one world renowned translation that is non-Muslim friendly. Those who translate the Qur’an in general aren’t people who say, “Well now, I passed Arabic 501 and 502, so now I”m knowledgeable enough to translate the Qur’an.” In general they are either Muslims doing it from devotion, or at least scholars of the Qur’an. One looks to Biblical translations from those who hate Christianity, does one? In the nineteenth and early 20th Century there were Christian missionary type people who purported to translate the Qur’an as a form of Christian apologetics. Do you see the problem with that? My primary go-to is an online version of Hilali-Khan, / because / it is the most Salafist (which doesn’t mean Jihadi, it means pious predecessors) English-language Qur’an. Do you want apologists tampering with Islam’s highest canonical authority? I don’t. 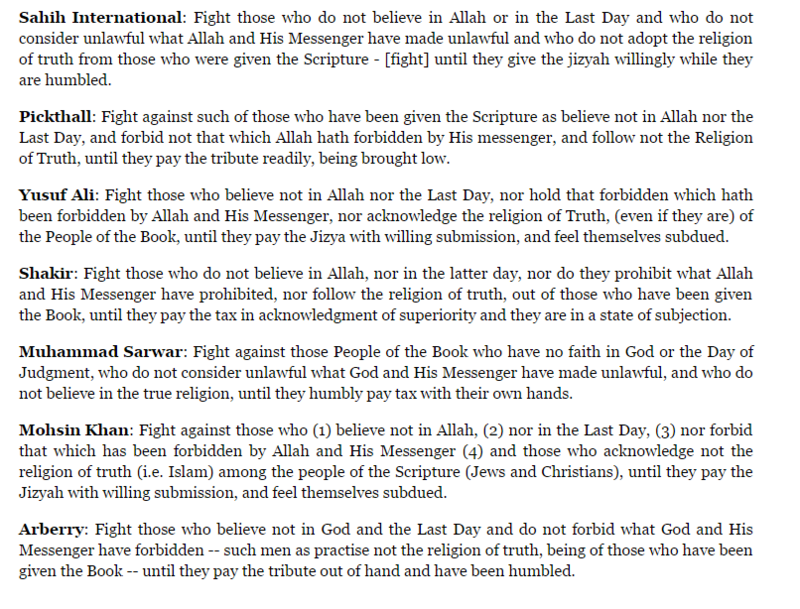 I want to know what real Islam says for itself, not what some bed-wetting apologist thinks it should say. In The Name of Allah, The All-Merciful, The Ever-Merciful. No serious researcher denies that Muhammad came to a milieu that was highly influenced by Judeo-Christian ideas. Indeed, the Qur’an presupposes familiarity with Judeo-Christian ideas to the extent that it often does not give the full version of a narrative; there is no need to identify what is supposed to be common knowledge. A typical example is in the verse that was only partially cited by Muslims commenting on news programs in the wake of the 9-11 terror attacks: “Whoever has killed a single human without just cause, it is as if he has killed the entire humankind.” In fact, the full verse is: “And for this reason, we ordained for the children of Israel that whoever has killed a single human without just cause, it is as if he has killed the entire humankind.” Significantly, the complete verse refers to a divine edict not found in the Torah, but rather in the Mishnah, part of the Jewish oral tradition. I had viewed Clarion a few weeks ago and was troubled by the seemingly apologist slant to some of its articles. In particular, the comforting but factually false meme that there is “radical” Islam and “moderate” Islam. Canonically false. What there is are observant and fallen away (apostating) Muslims. There is only one Islam. The Prophet Muhammad is Islam’s uswa hasana, perfect man, whom all should emulate. He was a Jihadi. It is obligatory for every Muslim to work in Allah’s Cause, which doesn’t have to be by violence. It can be by speech, writing, using money OR violence. Is the soft-spoken well-dressed mole in the school system slanting a curriculum toward creeping Shari’a not working in Allah’s Cause? The person who rents that truck that a violent Jihadi drove across dozens of people in London was also a Jihadi although he was only an accessory before hand. Act for America and Clarion Project *were* on my list of saved URL. Until last night.